Along with the smell of urine around your home and not being able to walk your dog at night safely, you can add not getting UPS packages, not being able to go to the post office after hours. Add Needing locked gates and/or security cameras around the perimeter of your home to the list of ways your life has changed because of Boulder’s homeless industry. 1. UPS will not leave packages that need to be signed for in front of homes for people that on West Pearl, Goss Grove, University Hill and other neighborhoods where transients live and hang out. If you are not home when UPS attempts it’s first delivery, you have to go to a central pick up point-McGukins-to get your package. Picking up at McGukins used to be an option. Now it’s a requirement if the package needs a signature. 2. The downtown post office lobby is now closed after hours due to “security concerns”. No going in at night to use their shipping machine. 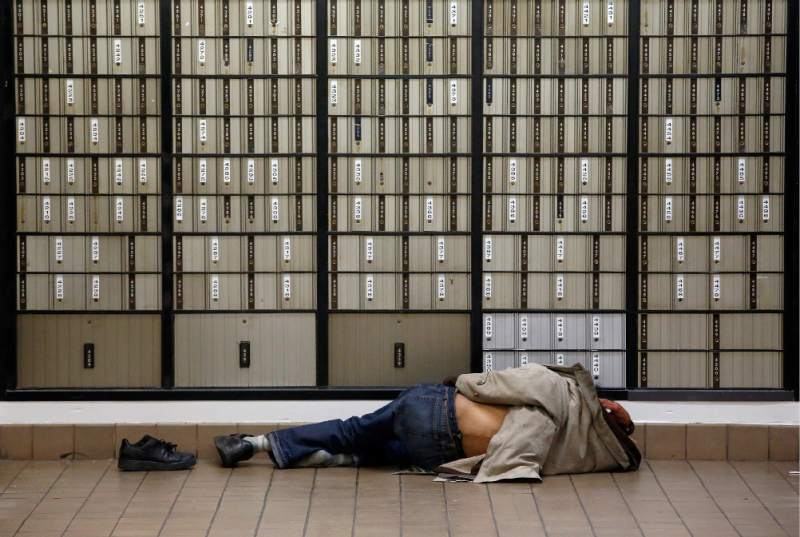 No retrieving your mail from your PO Box at night. I’ve encountered some scary people hanging out in this lobby, so I’m not particularly surprised it’s come to this. The post office has also taken the additional step of removing the bench outside it’s front door where transients sat all day. 3. The homes and offices around Lolitas have long had a problem with the transients that Lolitas attracts. A few years ago, a transient punched a neighboring resident in the face. Another threw a rock through the front window of the Bedells Antiques. Gypsy Jewel has fought transients hanging out in front of it’s business for several years. The building Gypsy Jewel is in couldn’t keep transients out of it’s parking garage. The building went through the expense of adding locked security gates on the three open sides of their building last summer. This summer they’ve had to go through the additional expense of adding CCTV cameras. It’s just a guess, but doubt the package thefts have been reported in most incidences. Would you call the police when a package was stolen? Most people just file an insurance claim and move on. So those crimes aren’t being included in our stats though they’ve been enough to force UPS to overhaul it’s delivery practices. This crime map of Boulder shows the property thefts, burglaries and thefts in Boulder for the month of August. It looks like 90% of them are taking place downtown. You can see why people who live outside central Boulder accuse downtown residents of being heartless when it comes to the homeless. They aren’t being effected by the problems. Plus they get so many Facebook likes from their friends when they post photos of themselves helping out the downtrodden. Empathy for housed neighbors doesn’t photograph well.